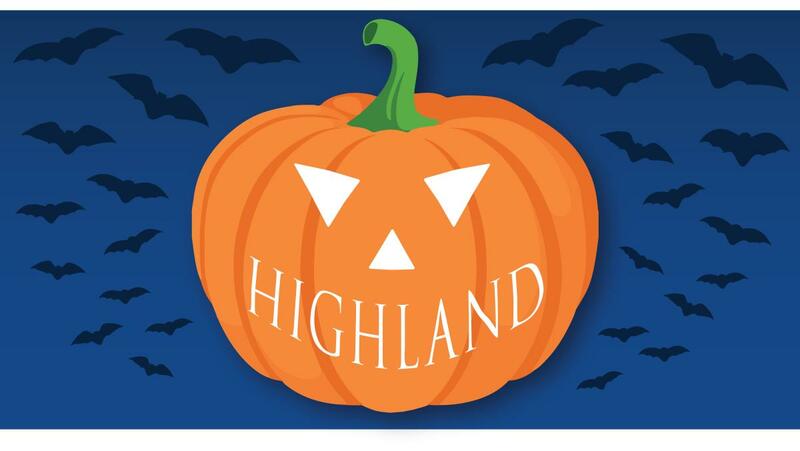 James Monroe’s Highland, in partnership with the Albemarle County Fair, will host Halloween at Highland, an afternoon and evening of fall fun, on Sunday, October 28, from 1:00 to 8:00 p.m. 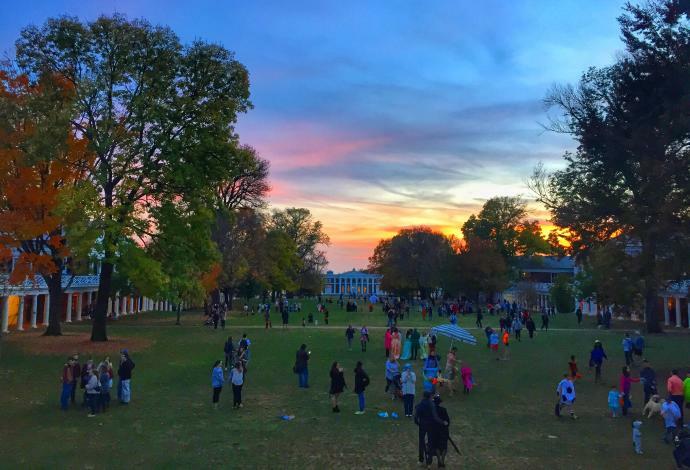 Admission to the event includes hayrides through the Highland pastures, walks through the corn maze, and entry in the children’s Halloween costume contest. Food, drink, pumpkins, and face painting will be available for purchase. All proceeds will support agricultural programming and the Albemarle County Fair at Highland. The costume contest is limited to children age twelve and under and will take place at 4:00 p.m. Admission is $5 per participant. Children under 6 years old are admitted FREE. Purchase tickets in advance using this link. Residents look forward to hundreds of children participating in the festivities and encourage University students to attend, too! Proceeds of Doggie Howl-O-Ween benefit the Amanda Benford Cure for Canine Cancer Research. They have raised over $32,000 in the last three years! The 2018 Doggie Howl-o-Ween will take place on Saturday, October 27. It begins at 5:00pm. The Parade starts at 6:30pm. A Costume Contest will take place at 7:00pm! Travel with Christopher Hudson as he recounts his ride to Monticello and warns Jefferson of the approaching British Army in 1781. Meet Cenie Hornung Moon, who lived in Honolulu during the Japanese attack on Pearl Harbor and hear her recount what happened on this date that will live in infamy. Listen to T.J. Sellers, a true son of the South, raised in Esmont, VA. Mr. Sellers was a pioneering African-American journalist, editor, and newspaper publisher. Scottsville&apos;s own, A. Raymon Thacker, Mayor Emeritus, and several other figures from the past, complete the cast and will recount events spanning from the 1800s until the 1980s. These hour-long, outdoor walking tours are not handicap-accessible and depart every 20 minutes from the Scottsville Museum on Saturday and Sunday, 20-21 October. Please dress appropriately for an outdoor, eveing walking tour. Returning this year to our Twilight Tours, is an indoor performance (handicap-accessible) at Scottsville&apos;s Victory Hall located at 401 Valley Street. Victory Hall will accommodate up to 100 attendees at this performance, and tickets will also be on sale at the theater there This handicap-accessible indoor performance is scheduled from 2-3PM on Sunday, 21 October 2018. Ticket prices for both outdoor and indoor performances are $5.00. Proceeds support the Scottsville Museum, a non-profit organization dedicated to the preservation of Scottsville&apos;s history. If you have questions, please e-mail Twilight Tours co-chairperson, Terri Long, at smuseum@avenue.org. or leave a voice message at 434-286-2247.